I so wanted to get this picture. My son, paragon of patience here, indulged his momma. This fun picture is my reward. I took many pictures that afternoon, some amazing, some beautiful, one in particular, practically miraculous, but this one was what I wanted, and he was a sweetheart to patiently bear it while I shot and adjusted, adjusted and shot. I love ‘holding the sun’ shots. This is a great one. thanks! it was great fun! That is a fantastic shot! Love it, and how wonderful of your son to be so patient, so his mother can express her creativity. A nice reward, indeed, Maria! A spray package is ideal but a jar that has a squirt limit works aswell. Holy cow – he DOES look like he’s swallowed the sun!!! Very creative. Such a good boy! 🙂 Can’t wait to see the other ones! Well this is just lovely! Indeed a great reward. Nature is magnificent, needs the eyes of the photographer to capture it with all its glory. Thanks for posting. Your sons patience proved worth!! Super shot!! I’ll have a bite of that sunshine, too! haha! This is wonderful! Great shot, Maria. Oh what an unique photo! 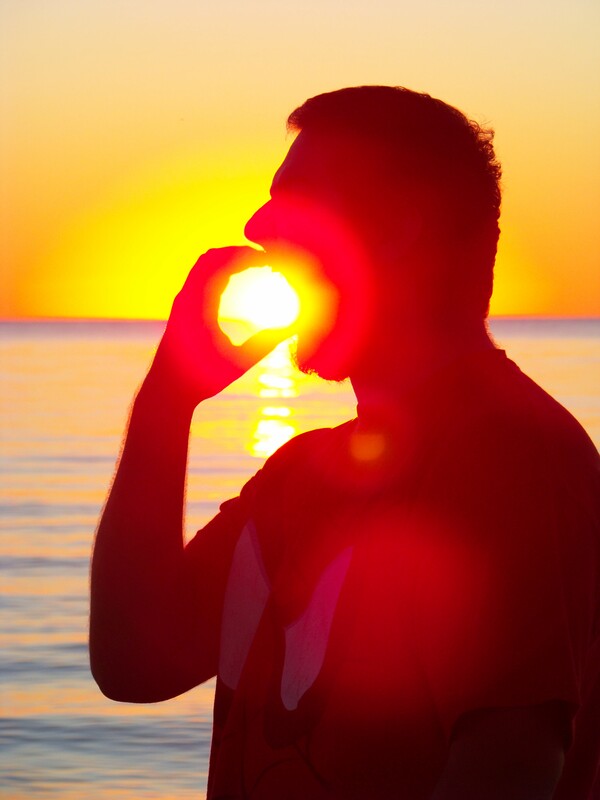 It looks like he’s swallowing the sun. Well, this is a nice reward from patience :)).